Lady Celts open season at Century | Keizertimes | You think you know. To be sure, read Keizertimes. 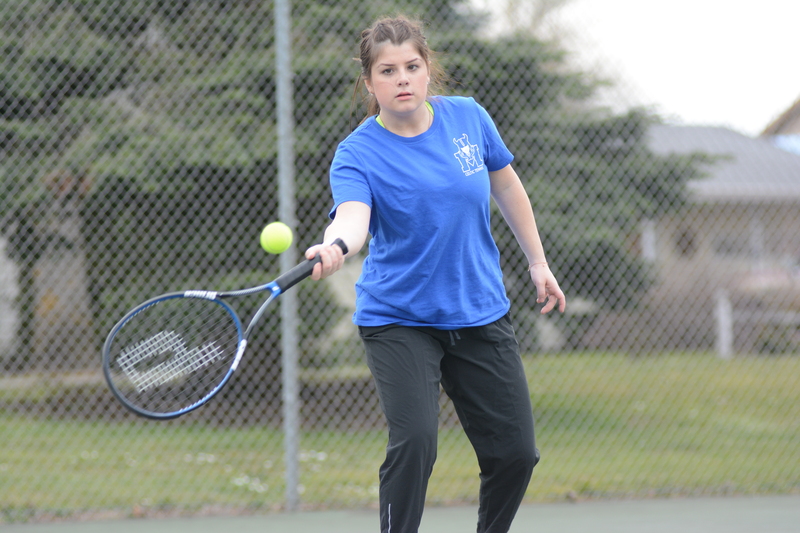 The inexperienced McNary girls tennis team showed potential in their first match. McNary’s girls tennis team lost six out of their eight matches in their season-opening meet with Century on Thursday, March 14. But considering that the Celtics roster is filled with first-year players, McNary head coach Sean Smith viewed the match as a moral victory. McNary wasn’t able to compete with Century on the singles side as the Jaguars won all four matches. McNary’s top singles player Avery Haymowicz just fell short in her match as she lost to Olivia Vargas 7-6, 7-5. However, the Celtics doubles teams had solid first matches across the board. Natalia Gonzalez, who is on the McNary’s top doubles team, was without her normal partner, Gina Munguia-Martinez — who had to miss the meet. Smith inserted Ariana Albright into the other spot to play with Gonzalez, and despite never playing together, the two won their match 6-2, 6-2 and were in control from start to finish. “They had good chemistry obviously. I was pleased with their positive attitude and communication,” Smith said. However, the Celtics lost heartbreakers in the #2 and #3 doubles matches. The #2 Celtics duo of Jorie Skipper and McKinsey Jarnagin started off strong by winning their first set 6-4, but then lost their final two sets to drop the match. After splitting the first two sets, McNary’s Kennedy Buss and Audrey Williams lost a 13-11 tiebreaker in the third set. But McNary’s #4 team of Ahlyn Lyda and McKenzie Proctor was able to salvage McNary’s second win of the match, rallying to win the final two sets (6-4, 6-3) after dropping the first set. It was the first ever tennis match for both players.